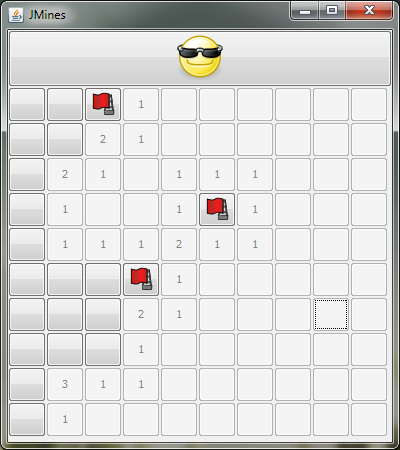 This is a small minesweeper clone I made as my final project in my Introduction to Programming class. It’s written in Java and should run on any system. There are a few bugs that I never came around to fixing. I have licensed it under the GNU GPL, so you are free to modify it and redistribute it under its terms.